Amrita SeRVe’s distribution of baby care kits continues to grow. 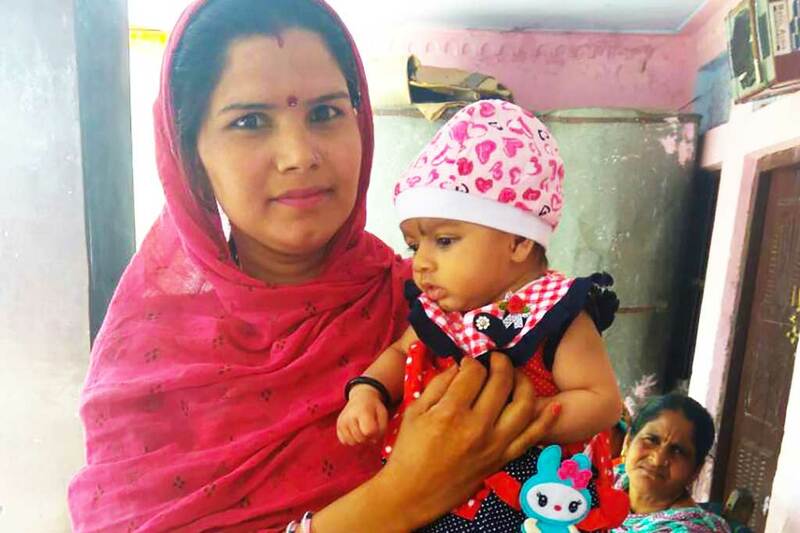 The latest to receive are new moms and babies in Maira, Punjab. The first three months are an invaluable time to establish a strong basis for an infant’s health. And when viewed from afar, that is an era of development that is vital to all of us for our coming future. The infant care kit contains 12 items: a soft bed with head rest, a mosquito net, one set of clothes, three reusable cloth napkins, a wrap towel with a cap, baby soap, baby powder, a soap box, a nail cutter, massage oil, a rattle toy, and Chyawanprash for the nursing mother.